Sabine County, Texas is rich in history. It all began here, along the Sabine River, a wide, fast-moving stream that has flowed south to the Gulf of Mexico longer than man can remember. Spanish explorers came here in the 1700’s, awarding land grants as early as 1794. In 1835, shortly before Texas won its independence from Mexico, the county became a port of entry for new settlers arriving from the United States. Gaines’ Ferry shuttled horses, wagons and settlers across the river at Pendleton. Today, at the same site, a modern three-mile bridge stretches across Toledo Bend Reservoir connecting Texas (Highway 21) with Louisiana (Highway 6). History seems to seep from every crack and crevice in Sabine County. The courthouse square at Hemphill, one of the most unusual in East Texas, is surrounded by quaint buildings, antique stores and gift shops. 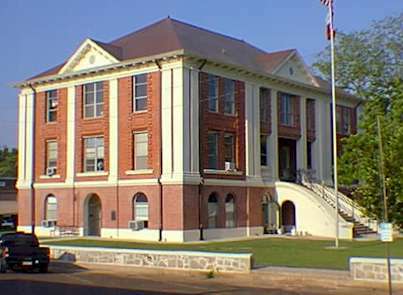 The courthouse (pictured at bottom of page), completed around 1910, is one of East Texas’ best known landmarks and its old county jail, built in 1903, is now a museum and library. On the corner of the square, domino players regularly gather beneath an ancient cedar tree. Sabine County residents have a deep reverence for their landmarks. Among them are the historic McMahan’s Chapel, the oldest Protestant church still in existence, and the Gaines-Oliphint House, recognized by Texas as the oldest standing log cabin in the state. 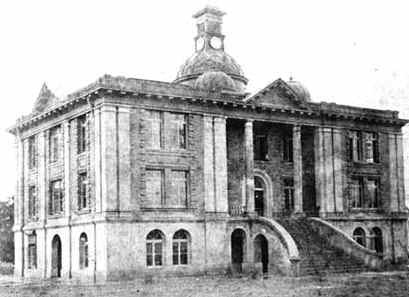 Long before Hemphill became the county seat in 1858, Milam was the center of Sabine County. Once called Red Mound, it was the first community to greet Texas immigrants. Among them Stephen F. Austin, the father of Texas, and Sam Houston. Milam is also known for Milam Settlers Day, an event held each autumn. At Pineland, Sabine County’s lumbering history is reflected in an old logging locomotive, a railroad depot, and unique collection of sawmill homes. The town’s history is celebrated during odd-numbered years with the observance of Pineland Day. Two other Sabine County towns, Brookeland and Bronson, also have ties to the railroad and lumbering. Brookeland can also boast as being the only town in Sabine County on Lake Sam Rayburn, a hot spot for bass fishermen. At Sabinetown, steamboats once unloaded their cargoes on the Sabine River. During the Civil War, when Union troops were known to be advancing toward Texas, Confederates built an earthen breastworks near the river. Fortunately, they were never needed. 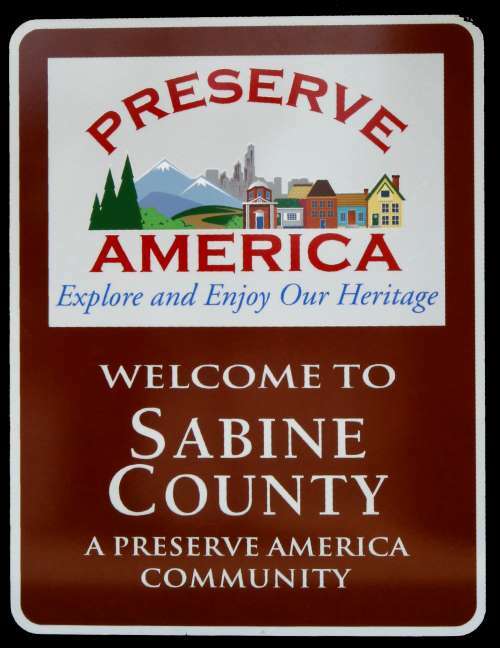 Nestled in the majestic pine forests of East Texas, Sabine County has an area of 456 square miles, four-fifths of which is the Sabine National Forest. To the east is Toledo Bend Reservoir, Sam Raybum Reservoir at the southwest corer, San Augustine County to the west, Shelby County to the north and Newton and Jasper Counties to the south. The county seat is located in the town of Hemphill. The only other incorporated town in the county is Pineland. 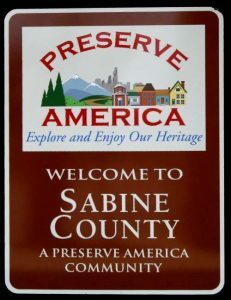 Sabine County was an original county in the Republic of Texas and today has the unique distinction of having the same boundaries that were given by the Congress of the Republic of Texas. The District of Sabine was populated enough to be represented in 1832 at the San Felipe Convention and declared a municipality by the Mexican Government. In 1836, it was declared to be a county and organized as such in 1837 by the Republic of Texas. Sabine County does not fit the typical “Texas” image that is often portrayed – oil rich, boom or bust, cattle, and open prairies. Sabine County is great majestic stands of pine forests; Sabine County is timber and the Toledo Bend Reservoir and tourism. To appreciate the significance of this area of Texas one must explore this vast East Texas Pineywood area. A visitor might be interested in tracing the history of this area by visiting the many historical landmarkers or by a visit to the nearly 100 historic cemeteries of Sabine County. They may also wish to relax beside the glistening waters of Toledo Bend Reservoir with over 1,200 miles of shoreline. Sabine County was the home of three signers of the Texas Declaration of Independence: John S. Roberts, James Gaines and William Clark Jr. It was also home of John C. Hale, a martyr of San Jacinto. The many old cemeteries of Sabine County are small picturesque areas that dot the entire county. The Springhill Cemetery, located off Hwy. 83 about two miles west of Hemphill, has one of the oldest marked graves. Dated 1837, it is that of William Pace, a Texas Revolutionary soldier. Long before the railroads came to Texas, many steamboats filled the Sabine River bringing supplies for the citizens of the area. Sabinetown was a port of entry during this era. One of the last of the numerous steamboats was the Neches Belle, whose reported last trip was in 1892. Beginning about 1896, the “Pineywoods” were invaded by commercial timber operations. 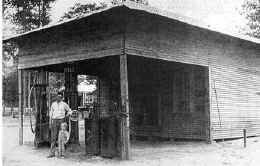 As the timber barons moved in to set up lumber mills and turpentine camps, tram ways were built all over Sabine County to haul the logs to their mills. By the turn of the century, railroad logging was at full scale operation, but by 1920 the forest resources were depleted and the timber operations moved to new areas. Today numerous relics of the old tram ways are found in the forests. In 1934, the acquisition of National Forest Lands began and today the forests of Sabine County are on the second or third growths, which are the direct results of sound forest management under the multiple-use concepts.